I recently discovered a small stock of Revision 1 of my popular ADC/VMS HAT for Raspberry Pi. This is a fantastic HAT for measuring voltages up to 14.5VDC with your Raspberry Pi. It is perfect for monitoring power supply/battery voltages for high-power projects such as robotics or 3D printers. There are some limitations to this HAT when compared to the latest revision found HERE but they don't limit the usefulness of the HAT. VMS Stand for Voltage Measurement System. 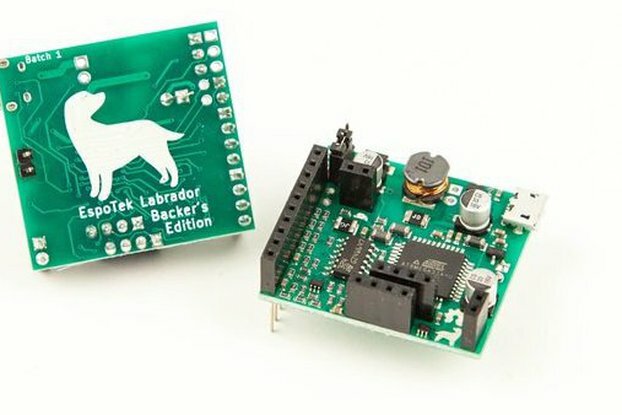 This HAT is designed to allow measurement of voltages up to 14.5Vdv on channel 0-3. ADC channels 4-7 can measure voltage up to 5Vdc. I designed this ADC HAT because I couldn't find one on the market that met my needs. I was building a high-powered robot and needed to be able to accurately measure voltages and take analog sensor readings. 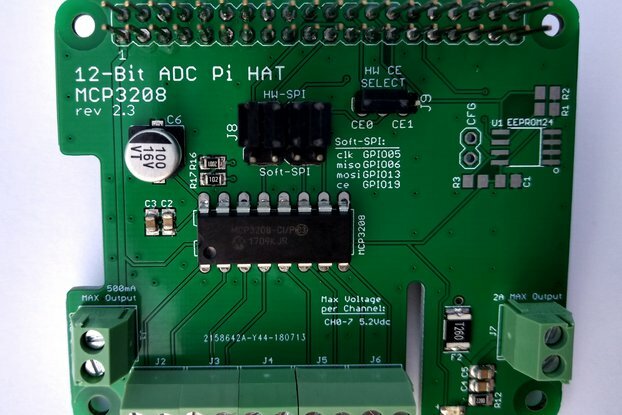 The Raspberry Pi is notoriously lacking ADC capabilities and this board fills that gap. 5 nA typical standby current, 2 µA max. 4-channels configured with voltage divider to allow measuring voltage up to 14.5VDC. Hardware or Software SPI, selectable via jumpers. Hardware SPI can use CEO of CE1, selectable via solder jumper. Can stack up to 3 ADC boards per Raspberry Pi by using both hardware SPI inputs and software SPI. This HAT comes fully assembled with a stacking header.